Delve into the criminal mind of Cormoran Blue Strike, a private investigator with a penchant for hard-to-solve, brutal murder cases. He’s the creation of Harry Potter author J. K. Rowling, who has written a series of novels about him using the pseudonym Robert Galbraith; now Cinemax brings the BBC-produced TV miniseries adaptation to U.S. audiences. 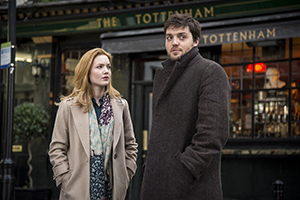 Strike (Tom Burke) is an ex-military man with a bum leg and a tough guy who works with a smart female assistant played by Holliday Granger. The stories couldn’t be further from Harry Potter, but Rowling (as always) knows how to spin a fascinating yarn. In this eight-episode series, journalist (Amy Adams) returns to her hometown to report on the killing of a young girl and uncovers much more than meets the eye in this limited series based on the Gillian Flynn (Gone Girl) novel of the same name. 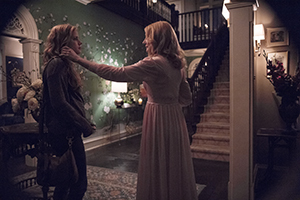 With a terrific supporting cast including Patricia Clarkson, Henry Czerny, Elizabeth Perkins, Matt Craven and Chris Messina, and the Emmy-winning Big Little Lies director Jean-Marc Vallee at the helm of all eight episodes, Sharp Objects seems to be poised as the one to watch for crime lovers this summer. From the slightly twisted minds of Stephen King and J. J. Abrams comes Castle Rock, a ten-episode series designed to scare the wits out of you. Set (as usual for Stephen King) in a small town in Maine, the show is a psychological horror drama that reportedly draws inspiration from some of King’s most-loved novels, including Misery, The Shining, and The Shawshank Redemption. 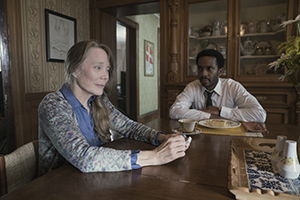 With stars like Sissy Spacek, Melanie Lynskey, Andre Holland, Jane Levy, Bill Skarsgard and Scott Glenn, we know we’ll be watching—until we’re too scared to keep tuning in, that is. “Strange” really is the operative word for executive producer Ridley Scott’s new Strange Angel TV series based on a fact-based story from the 1930s and 1940s. Created by Mark Heyman, the show follows the weird life of rocket scientist Jack Parsons (played by handsome Jack Reynor), who founded the Jet Propulsion Laboratory and was also a follower of Thelema, an occult religion that involved sexual ritual, mystic rites, and other outlandish elements. Rupert Friend and Bella Heathcote co-star in this show that is not for the kiddies, but adults may find it a bizarrely fascinating look into how far one can crawl down the rabbit hole. 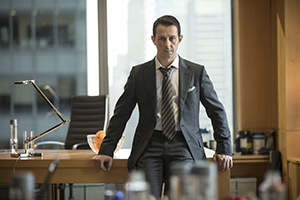 If Rupert Murdoch and his children come to mind as you begin watching HBO’s new drama Succession, that’s not too surprising, for the parallels are apparent. The fictional tale of a massively wealthy New York family that controls much of the world’s media and entertainment, the story begins as aging patriarch Logan Roy (Brian Cox) contemplates stepping down from the empire he created. Over ten episodes, the rest of the Roy family—his wife and four children—begin to jockey for the position and power that he is reluctantly relinquishing. With a talented group of creators, writers, and directors including Jesse Armstrong, Adam McKay, Will Farrell and Frank Rich, Succession is poised to make a killing this summer. Kevin Costner stars in this modern Western created by Tyler Sheridan, who was honored with an Oscar nomination for his excellent script for the film Hell or High Water. 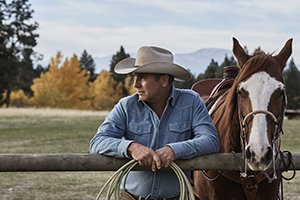 That, too, is a modern Western, created with depth and vivid characterizations, leading us to believe that Yellowstone will offer a fascinating look at a wealthy rancher, his extended family and their struggle to fend off those who want to grab at the land they have owned for generations. With a cast that includes Wes Bentley, Gretchen Moll, Danny Huston and Josh Lucas and locations in Montana and Utah, one thing is sure: Yellowstone will be fun to watch. Fiction imitates a reality show in American Woman, this new 30-minute comedy based on the real-life childhood of Kyle Richards, the actress who is best known as one of The Real Housewives of Beverly Hills. Set in Southern California in the 1970s and starring Alicia Silverstone as a single mother trying to raise her two daughters while embracing the feminist changes of the era, this one is full of laughs (and some tears, too). Mena Suvari and Jennifer Bartels costar as her best pals, all decked out with Farrah hair and bell-bottomed jumpsuits. It’s a blast from the past, style-wise, but the show’s underlying themes are just as spot on today as they were forty years ago. 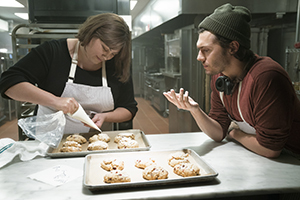 Satire is alive and well on AMC, as Dietland comes to the network that gave us Mad Men. Based on Sarai Walker’s popular novel, this cutting comedy skewers the modern fashion, beauty and publishing industries, with a heroine (Joy Nash) who doesn’t quite match the unrealistic standards of those female-dominated worlds. But she’s not letting that stop her, as she madly moves forward in the cutthroat dominion of New York’s high-fashion magazines. Watch for a redheaded Julianna Margulies in a scene-chewing role; favorites Robin Weigert (Deadwood) and Tamara Tunie (Law and Order: SVU) turn up in juicy turns, too.